Late last year the Internet Security Research Group (ISRG) announced the public Beta of the Let's Encrypt program. 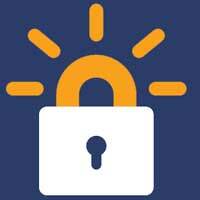 The goal of the organization (a foundation) is to provide free and easy to deploy SSL for all. This of course nicely combines with Google's call for secure websites. As they even claimed this could be a ranking signal, it is probably time to get your sites on SSL (and if you wonder, this site soon will be too). What made things even easier is that many providers for hosting, but also for CDN's built very easy to use integrations for Let's Encrypt. So, basically, they aim to provide free, easy to deploy SSL without you having to bother about renewal issues. Sound's pretty good to me. Simply click the Install button, wait a few seconds, and that's just really all. To test, access your site over HTTPS and check that you have a green lock in your address bar. And again, that's it, SSL is enabled for your CDN now.